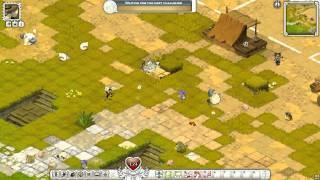 Wakfu game - a free online game that will take you into an epic and incredibly fabulous world. With the help of your character you will fight with the flora and fauna in the world. Or go the second way - it takes custody of the flora and fauna, if you become a farmer in the game Wakfu Online. Play Wakfu you can, if your computer or netbook has such power: OS: Windows XP, Vista and 2007 Hard disk drive (HDD): 300 MB Processor: Intel Pentium 4 @ 2. 0 GHz or AMD Athlon XP 2200 + Memory (RAM): 512 MB Video Card: nVidia GeForce 3 or ATI Radeon 8500 Sound card: compatible with DirektX DirektX 9. 0c Video Memory: 32 MB Join Wakfu available in the following languages: Italian, English, German, French or Spanish. But the sense of filling forms for registration does not change. To register you will need: 1) Press the «Create an account» on the main page of the site Waqf online. 2) Enter the name of your account, if possible, in Latin letters. 3) Come up with a password for svogo account and enter it in the subsequent form. 4) Repeat the entered password combination. 5) Enter your e-mail. 6) Click on «Register». Waqf game for which you need to download extra special game client. To do this, you should: 1) Press «Free to play» on the main page of the site Wakfu. 2) Then click on the link «Download Wakfu». 3) Then on your desktop, you will be presented a floating window Wakfuinstall. exe. 4) Click on "Save File". Then this file is installed on your computer. Once all the above do, you can begin to explore all the features of this game. In Wakfue you choose to play one of the fifteen characters. Below is represented the information about them: - Feca's Shield (Protection) - the only class that has not changed over time, which was necessary for them to pass all the tests. They are true advocates for all animals. They never fail to protect their treasures. - Osamodas' Whip (Summoners animals) - howling huge number of wild animals - a great music for them. This view has changed greatly over 1,000 years in the game. - Enutrof's Fingers (Treasure Hunters) - they are the greedy class, loving treasure. - Sram's Shadow (Assassin) - they are considered extremely dangerous. This class is a killer. They use their traps to control others. - Xelor's Sandglass (Temporary Magi) - the creators of time. These magicians conceal many sounds of the world. - Ecaflip's Coin (Warriors gamblers) - they dominate scams, pickpockets, thieves. Warriors gamblers - it is a great chance to win in gambling. - Eniripsa's Hands (Healers) - famous for their healing Talanov. They can increase the quality of their power satellites. - Iop's Heart (Punching warriors) - they are very formidable and energetic. Their enemies are afraid of them and can not defeat them. - Cra's Range (Bow) - it's the best archers, they have excellent strength at ranged combat. - Sadida's Shoe (Summoners plants) - incredibly lazy creation. Their purpose - is to protect all plants. - Sacrier's Blood (Birserki) - they are always there, where there is a lot of blood and battle. - Pandawa's Pint (Sharpe warriors) - they are the real experts at melee, face to face with his enemy. - The Rogue Ruse (Masters of Illusion) - they are intruders and intelligence specialists. The only thing important to them - it's a family. - The Masqueraiders (Soldiers sleepwalkers) - camouflaged hunters. Their real face has not been seen. Their motives remain a mystery. - The Foggernaut's steam (Masters sabotage) - they always expect for the right moment to attack. 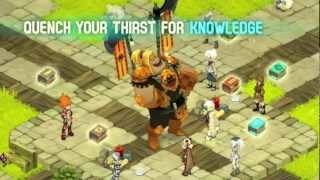 Wakfu - this game is for you!